I’m not a great rock fan; trouble is, I have to listen to too much I don’t like before I find something I do like. 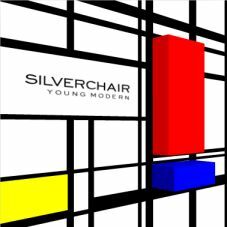 But “Straight Lines” from Silverchair‘s album Young Modern grabbed me last year. The APRA (Australasian Performing Right Association) Awards annually celebrate the achievements of Australian composers and songwriters. At the 2008 APRA awards, Straight Lines, written by Daniel Johns, was named Song of the Year. Straight Lines also was also named the Most Played Australian Work, and Johns was named Songwriter of the Year, making him the first artist to win the award three times. As well as reaching No. 1, the song also won an ARIA for single of the year, and was recognised as the highest selling single at last year’s ARIAs.